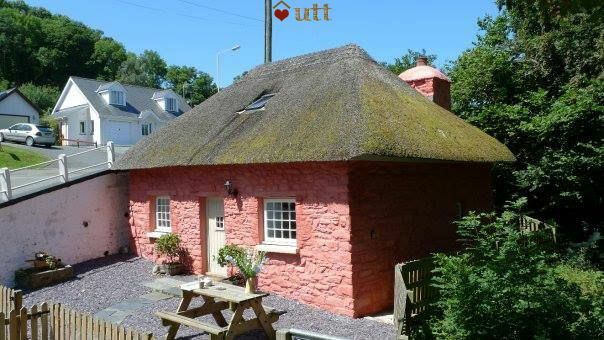 Cute thatched cottage with hot-tub a short walk from the beach, Wales' finest seafood restaurants and the glorious Llanerchaeron estate. The last thatched cottage in famous Aberaeron - one of the prettiest small harbours in Britain. 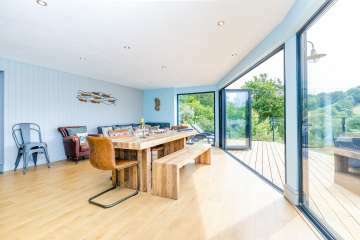 Walk down by the lovely riverside walk to the beach in ten minutes or to great seafood restaurants and to the fantastic National Trust Llanerchaeron estate. 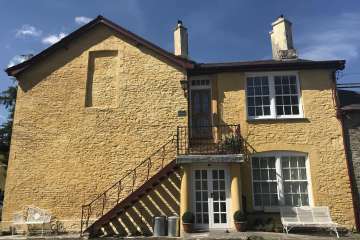 Built at the end of the eighteenth century in a picturesque style, and never extended or enlarged from its original plan, Aeron Bach is tiny and adorable. 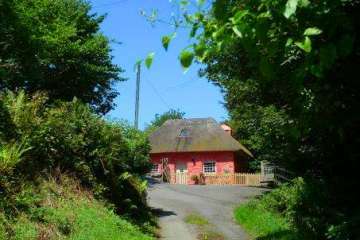 It sits on the edge of town, with mature trees around, just below the road up the Aeron valley to Lampeter. The interior is clean, bright and modern - surprisingly modern for a cottage of this age, but done well. 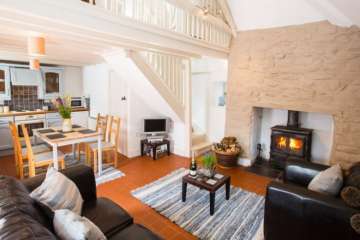 The property is well insulated, has modern storage radiators and a woodburning stove and is cosy even in the coldest weather. Kitchen - Modern kitchen with the appliances that you would expect - full-size cooker, fridge (with ice box) and microwave. 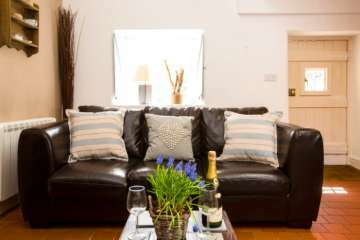 Lounge - with leather sofabed, TV, DVD player, CD radio, & woodburning stove. Shower room and toilet - small but adequate. Croglofft - double bedroom on the mezzanine with double bed, balcony with view over to the ground floor. Restricted headroom in parts. Parking to front and small enclosed front garden. Decking patio area with good views and picnic bench. Travel cot and high chair available on request. Guests to bring own cot bedding. 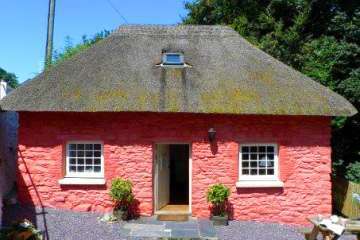 Lovely little cottage, 10 - 15 mins walk by the river to the harbour where there is some nice pubs & restaurants. There are plenty of things to do within a short drive, we really enjoyed the walk around the gold mines about 30 mins away. 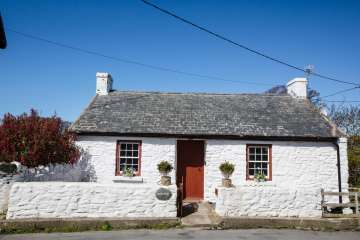 A very pleasant 3 night stay at this cottage. 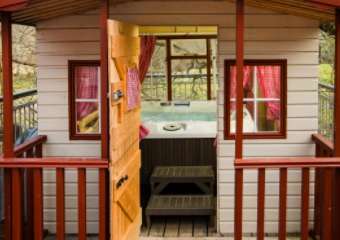 It was comfortable and cosy - just the place to return to after a day out, especially with the availability of the hot tub. Ar ol cynnau’r tan gyda’r nos nid oeddem eisiau mynd allan eto. Diolch. Thank you for allowing us to stay at you lovely warm house. 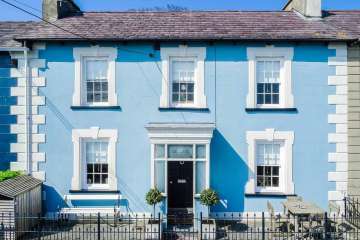 We had a wonderful stay at Ty Pinc in Aberaeron. The attention to detail at the cottage was impeccable and the hot tub was brilliant. 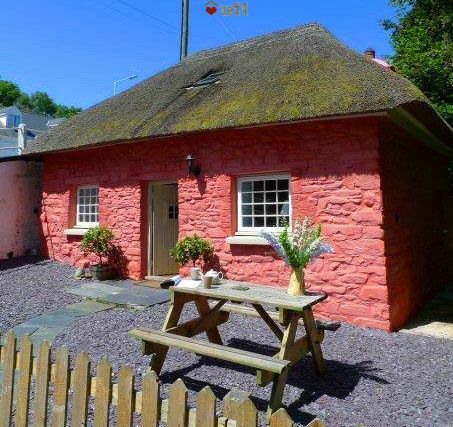 We would highly recommend this cottage, just outstanding!! 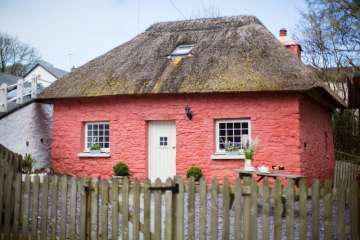 Enjoyable cosy cottage. Aberaeron is a delightful seaside location. 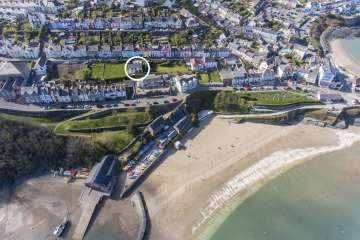 Harbourmaster restaurant is within walking distance of Aeron Bach and is recommended. Great location to get away from it all and explore Cardigan Bay. Spent three nights here 2 adults with Daughter age 8. All enjoyed the hot tub and walks with the dogs. A few national trust local to area, all dog friendly. The best were the Roman MInes! We had an excellent break at Aeron Bach. Perfect for a couple of people, we stayed on a blisteringly hot weekend, but the cottage was nice and cool inside. The hot tub was permanently "on" and hot so no waiting for it to heat up, the bed was really comfortable though headroom a bit limited upstairs. 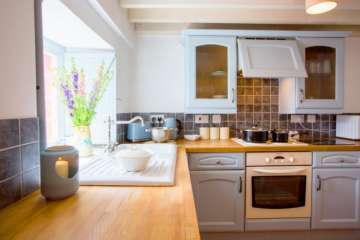 The kitchen space was perfect too, cooker microwave fridge sink and dining table, etc. A big tv and comfy sofa bed couch, loads of charging points, and really easy to clean. A powerful hot shower too. Everything was perfectly planned and it was spotlessly clean as well. A mile walk into town was no problem for us. Easy access, space for parking, nice and quiet, just perfect. 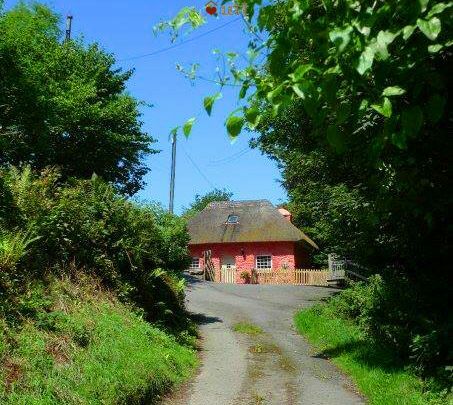 A visit to this property is like staying in a beautiful, cosy little doll's house. The hot tub was so relaxing and the owners made us feel really spoiled with the welcome note and provisions. UTT never fails to provide something out of the ordinary to make a well needed break even more memorable! We had a lovely few days at Tŷ Pinc for our honeymoon. It was perfect and cosy and just what we needed after a crazy few weeks. 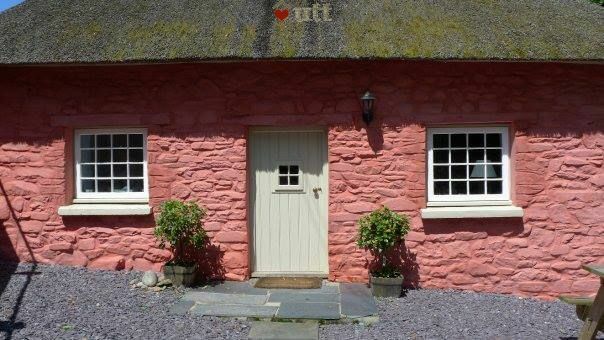 The cottage itself is idyllic and so cute, we didn’t want to leave! 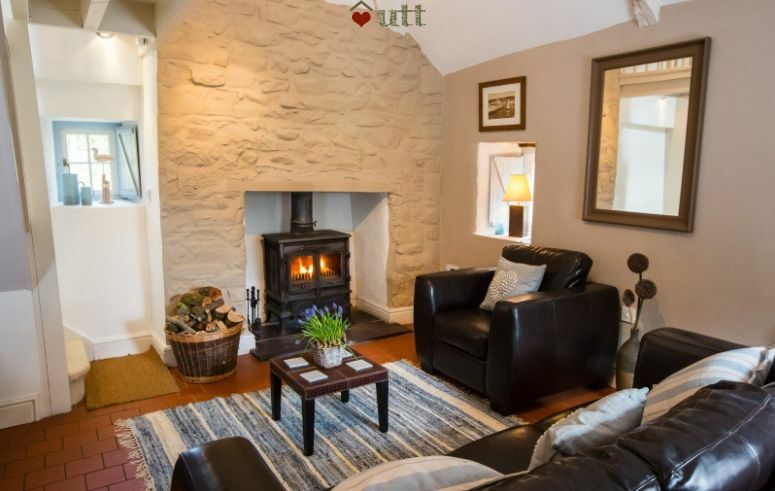 It had everything we needed including a log burner and really made us feel at home. We’ll be back! Amazing cottage. We had such a lovely stay here. Attention to detail is perfect. Will highly recommend to everyone. We have had a fantastic mini break here! 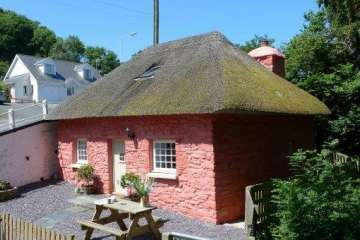 Lovely cottage, picturesque area, quiet and relaxing! Loved our trip to New Quay to see the dolphins. 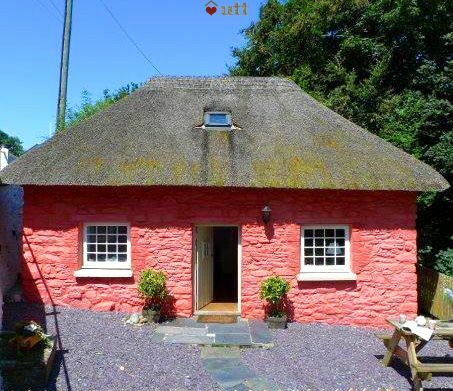 Great little cottage, just what we needed. 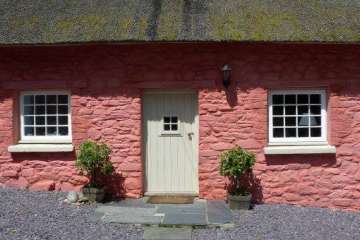 Wow what a beautiful little cottage - decorated and equipped to a very high standard. 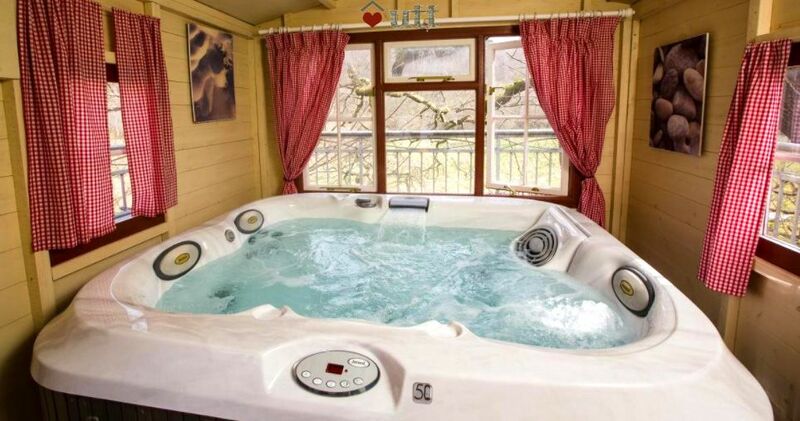 Very clean and comfortable and the added luxury of a hot tub. 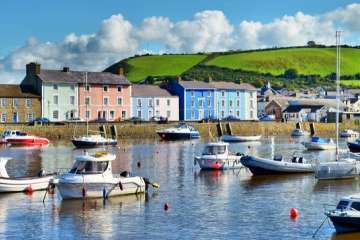 Lots to do around Aberaeron and some very nice places to eat. We had a fantastic week and many thanks for the treats from the owners - bubbly, chocs and Welshcakes - much appreciated. 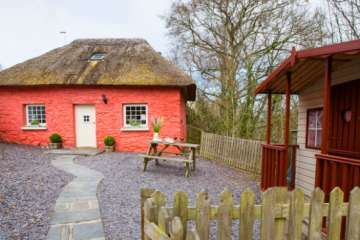 A super cottage in a beautiful part of Wales. 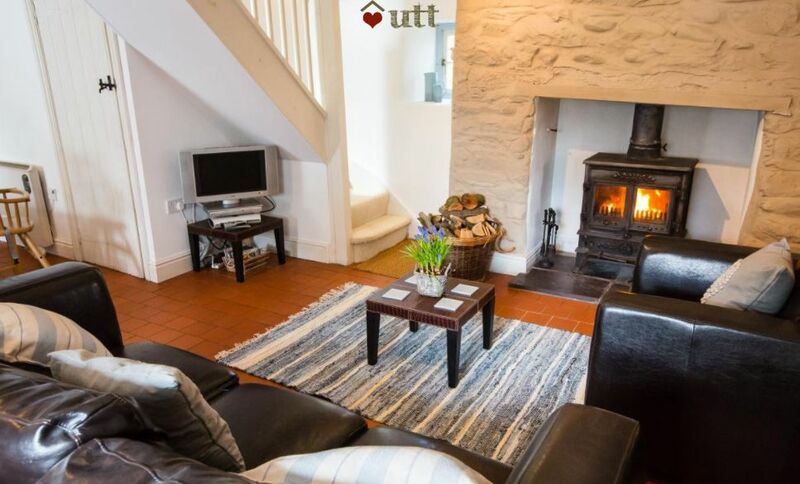 The cottage has everything you would want and is nicely decorated. 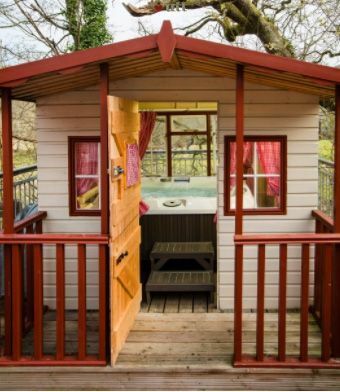 The owners have thought of everything and the hot tubs is a bonus. 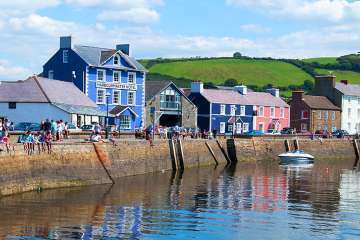 There's so much to do in and around Aberaeron. The river and coastal walks are lovely. The harbour is ever-changing, depending on time of day and the tide. The beaches and coves nearby are stunning. We're planning to return in a different season to have a different experience. Had a wonderful 4 days at Ty Pinc.cottage - was stunning and spotlessly clean.Welsh cakes and wine were a lovely touch as was a hand written welcome card from the owners. 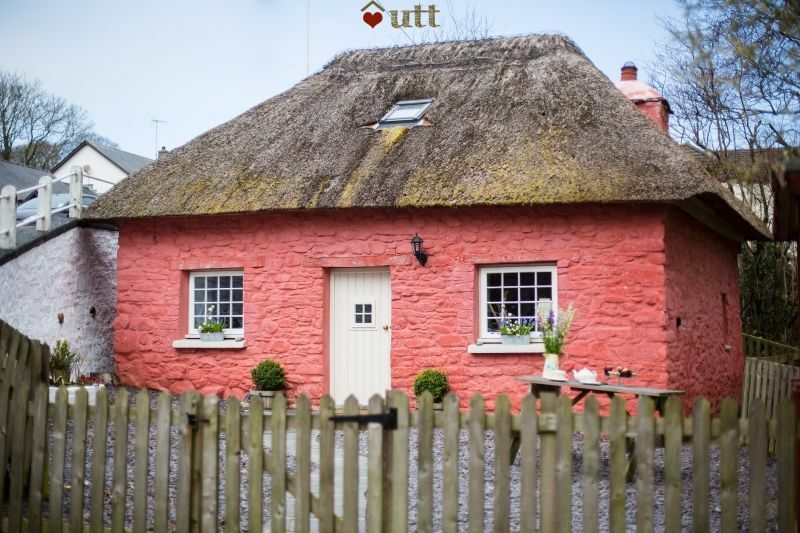 We had a fantastic week in this lovely little thatched cottage. 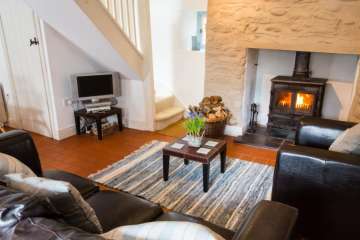 The cottage is cosy and warm and has all of the essentials that you need. It is a short walk into town beside the beautiful river and again a lovely walk to the National Trust House and Grounds which are well worth a visit. We arrived to find lovely fizz, chocolates, welsh cakes and a gorgeous hand written welcome card which is so thoughtful and unusual. Last but not least the hot tub is fantastic and a great way to end a days walking!! Had a fantastic time at "Ty Pinc + Hot tub! ", there was a lovely welcome gift awaiting for us on arrival, which made us feel right at home. 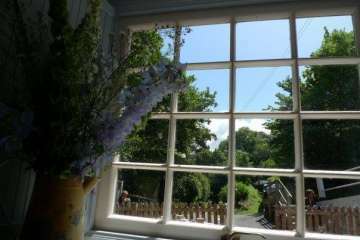 The cottage was lovingly tended to, and decorated lovely. Everything was in order and charming! 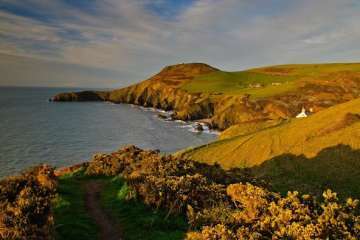 It was a very short break, not nearly long enough to explore all the amazing places in the area, from the lovely beaches at Penbryn, Mwnt, Tresaith, Llangrannog etc., to walking the coastal path, to visiting other places of interest nearby like LLanarchaeron and Devils Bridge. 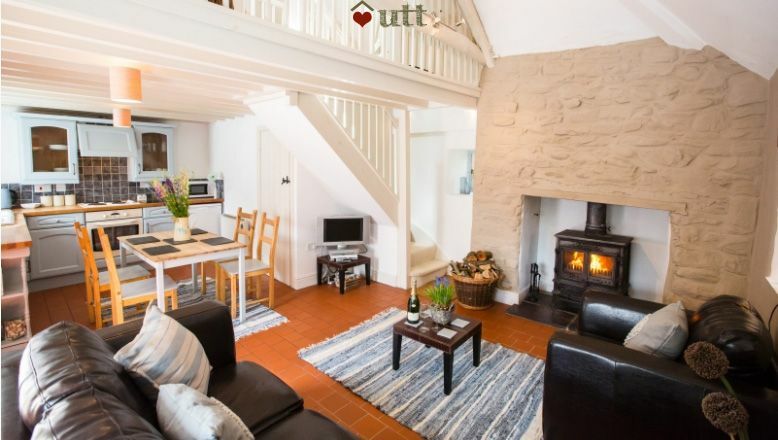 The cottage was lovely, very cosy and compact, but more than adequate for myself and daughter and two grandsons Macsen 5 and Dylan 3. They loved the hot tub and we made good use of it. They loved the little pink house with a straw roof, the views over the valley and everything else. 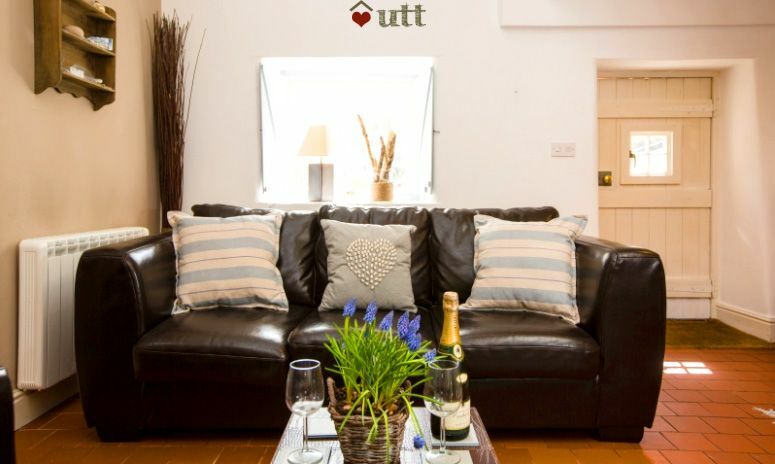 The cottage is very well-equipped, and it was lovely to have such a delicious welcome pack with something for everyone, and so convenient and thoughtful to provide tea, coffee, sugar and milk so there was no need to go and shop as soon as we got there. The cottage was very cosy and although it was late October we only had the heating on for a few minutes once or twice and no need to light the woodburner at all. 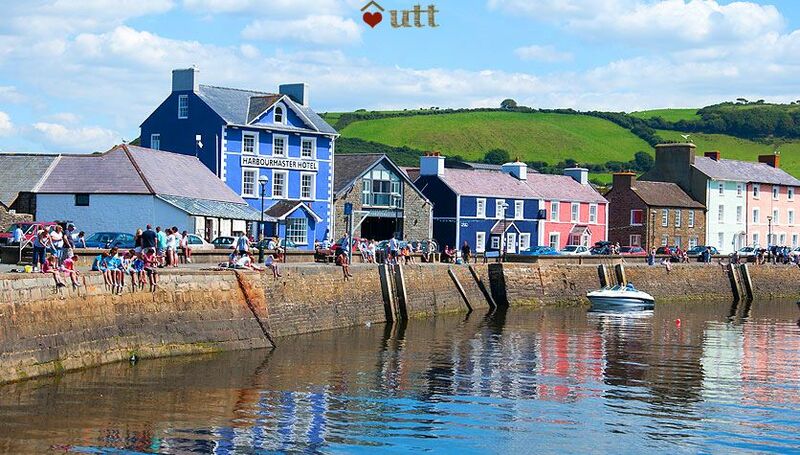 Aberaeron itself, although well out of the tourist season had lots to offer, although with two little ones and a hot tub we catered at home in the evenings, there were lots of friendly and welcoming cafes eateries and shops all open for business. it is also a very distinctive and attractive town with its brightly painted houses and businesses. A big thank you to Mandy and Gary for providing such a relaxing and enjoyable break! 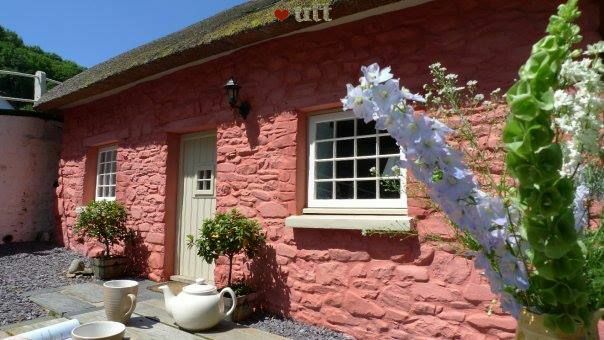 Absolutely gorgeous little cottage, beautifully furnished and decorated with a lovely homely feel. We had a very comfortable and relaxing stay, and of course the hot tub was fantastic! 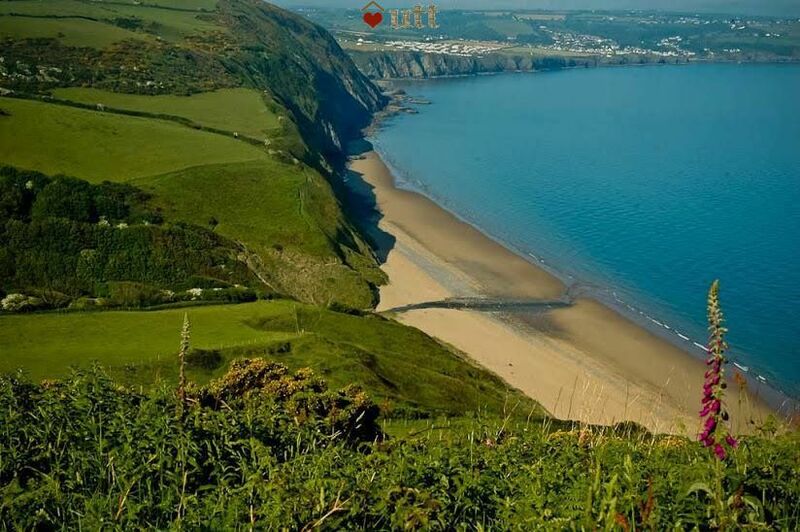 The little town of Aberaeron and surrounding areas are also very pretty and easily accessible from the cottage. We really didn't want to go home! 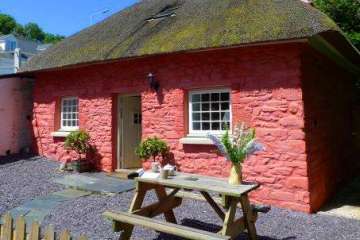 I cannot recommend this cottage highly enough! 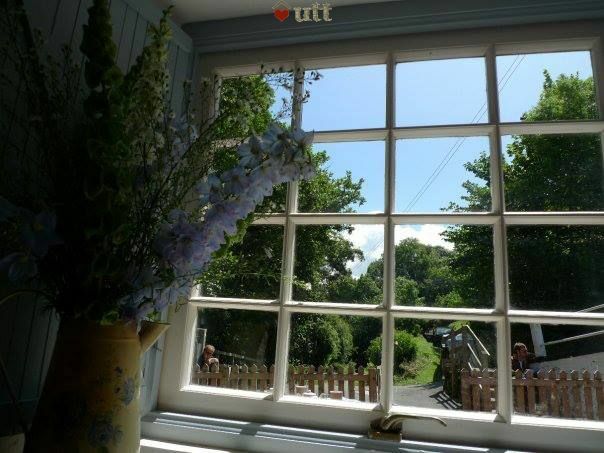 I loved every minute of my stay..the cottage was fabulous. I would definitely come here again..thanks. I had a wonderful time at ty pinc with my partner in January. 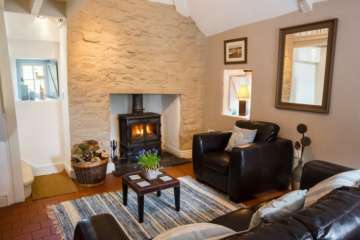 The added cold weather and snow made it even more cosy and enjoyable in the cottage. We found the facilities to be excellent and the size perfect for two people. 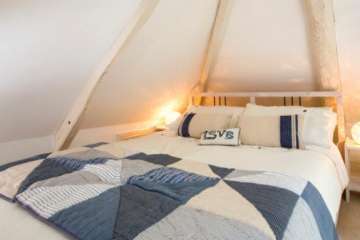 I would recommend this accommodation and would stay again in the future.